The port authority of Rafina, precursor of O.L.R. S.a., established in December 1930. The port of Rafina is located within the fabric of the city, playing an important role in the economic life of the town but also in the developmental course of destinations served from Rafina. Has been selected as one of 12 major ports of national importance, taking essential, complementary role to the port of Piraeus and the wider system of Ports of Attica. by: bus: buses of KTEL Attikis bound Rafina departing daily from the street at pedion Areos Mavromateon. The starting point is within a 10-minute walk from Victoria station of the line 1 subway station, across the road Cheyden. The itineraries are made every 15-45 minutes depending on the hour, from 05.45 in the morning until 10: 30 at night. taxi: to move from the center of Athens to the port of Rafina needed about 50 minutes – 1 hour, depending on traffic. Alternatively, you can cover the route up messogion Avenue with Metro (until the station Mint), and from there you can continue by taxi. The cost from Athens to Rafina is about 20-25€ (without an appointment and suitcases). All add-ons (suitcase, appointments etc) is now integrated into the taximeter and the proof will be issued should include. Private: access to the port of Rafina is feasible through Marathon Avenue (then Boulevard Mesogeion). Via Attica road, heading towards markopoulo and follow the exit towards Rafina. At the port of Rafina works paid car parking. 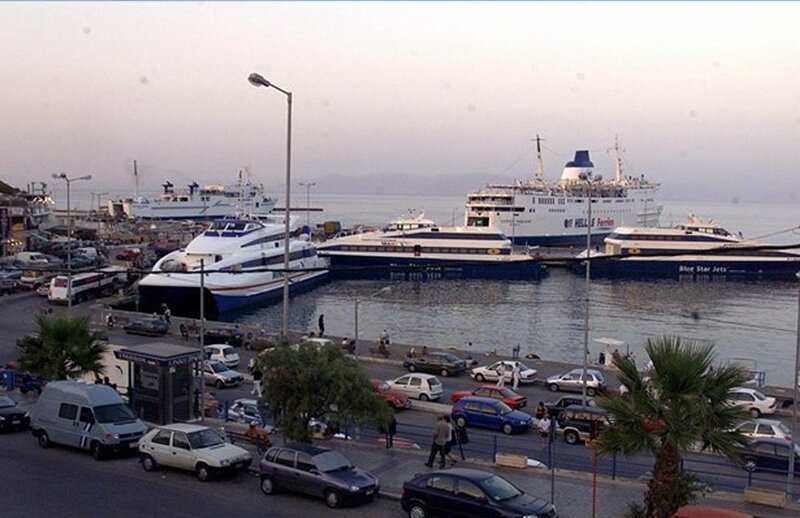 The port of Rafina serves both passenger-tourist and freight (transport with trucks), bringing together an important part of traffic to the islands of the Cyclades (Andros, tinos, Mykonos, Paros) as well as the exclusive association with South Evia. The port of Rafina has 15 piers tether OL/RO passenger ships and high-speed domestic routes, fishing shelter and capable land sites for the convenience of traffic, which is now during the summer months significantly increased. Air Champion24 .com offers ferries to and from Rafina on all services performed from any port of Greece. You can easily search and choose your ferry route that it serves, easily and instantly. The booking takes place in real time using your credit card or by making a booking with the help of the staff of our Office.